Unless you have very recently awakened from a lengthy hibernation (and if you have, we hope it was restful), you are no doubt familiar with the federal tax reform bill known as the Tax Cuts and Jobs Act (hereinafter called “federal tax reform”), the most comprehensive tax legislation passed since Congress overhauled the federal income tax code in 1986. The breadth of federal tax reform is simply staggering, and it materially alters many key aspects of federal corporate income taxation in the United States. It also introduces several new concepts that are intended to move the United States from a worldwide to a territorial tax system and to make the country more business-friendly, with a more competitive tax environment. To add to the excitement, cue U.S. state and local corporate income taxes. Since each U.S. state has its own approach to corporate taxation (e.g., different rates, starting points, apportionment rules, exemptions, deductions, and exclusions), the impact of federal tax reform on the states is likely to vary from state to state. Although approaches differ, each state with a corporate income tax draws upon the Internal Revenue Code (IRC) in some way, and as a result the impact of federal tax reform on the states must and should be examined. 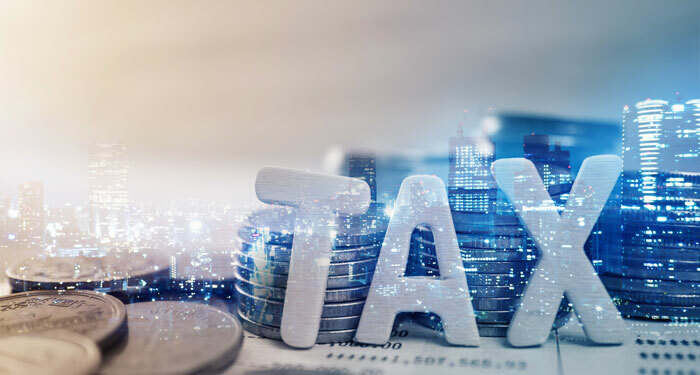 In this article, we will examine how the most significant corporate income tax provisions of federal tax reform may affect U.S. state and local corporate income taxation. Static conformity. States under this option conform to the IRC as of a fixed date, which may or may not be the most recent version of the IRC. For example, Texas has adopted the IRC as of January 1, 2007. Changes to the IRC after this date do not apply in Texas. Rolling conformity. These states conform to the version of the IRC that is currently in effect. For example, Massachusetts is a rolling conformity state and, as such, will automatically adopt any changes to the IRC unless it specifically decouples from those changes or from the affected provisions. Selective conformity. These states conform only to specific IRC sections and not to the IRC as a whole. Further complicating this picture, these selective states can choose to conform to the adopted provisions on either a static or rolling basis. For example, California adopts some IRC provisions on a static basis. What’s more, although states may conform to the IRC itself, they may not conform to federal interpretations of the IRC. This means that to the extent that the U.S. Department of the Treasury issues substantive guidance (regulations, rulings, etc.) regarding any of the federal tax reform provisions, an additional threshold question exists as to whether such guidance applies in those states. Finally, it is important to remember that IRC conformity is usually relevant only for computing a taxpayer’s state tax base and does not affect the state tax rate applied to that base. In other words, while corporations will enjoy seeing the federal corporate income tax rate drop from thirty-five percent to twenty-one percent as a result of federal tax reform, their state corporate tax rates are likely to hold steady in the near term. The complexities of federal tax reform will affect each state differently, even when states fall into the same conformity bucket. Accordingly, a taxpayer cannot end its analysis after considering the conformity question. Simply put, there is no substitute for a state-by-state review to determine how federal tax reform will affect your business. We have listed below some of the most important issues you may consider as you analyze the state tax impact of federal tax reform on your business. Of course, the significance of each issue will depend on your business’s particular tax profile. One of the “gifts” to corporate taxpayers in federal tax reform is revised IRC Section 168(k), which allows a taxpayer to fully and immediately expense certain property acquired and placed into service between September 27, 2017, and January 1, 2023. This 100 percent depreciation deduction replaces bonus depreciation under prior law, which offered accelerated (but not full, 100 percent) depreciation. However, this gift comes with a limit on interest deductibility. In new IRC Section 163(j), federal tax reform limits a taxpayer’s interest deduction to thirty percent of the taxpayer’s adjusted taxable income, as the IRC defines that term, and permits taxpayers to carry forward any disallowed interest expense indefinitely. This interest limitation applies to interest on debt with both related and unrelated lenders. Taken together, these provisions were intended to encourage investment in the United States but discourage such investments through strict debt financing. However, given the states’ varied approaches to conformity and tendency to decouple from bonus depreciation, the consequences at the state level could have the opposite effect. Currently, many states already decouple from IRC Section 168(k) (bonus depreciation), and it is likely that those states will similarly decouple from the full depreciation provisions introduced by federal tax reform. Pennsylvania was one of the first states to speak on this issue after federal tax reform. The Pennsylvania Department of Revenue issued guidance in Pennsylvania Corporation Tax Bulletin 2017-02 (December 22, 2017), concluding that Pennsylvania does not conform to IRC Section 168(k) and that Pennsylvania tax statutes do not provide a cost-recovery mechanism with respect to property that is fully depreciated under that provision. As a result, according to the department, taxpayers cannot recover such cost until the property is sold or otherwise disposed. Not only does this position depart from the department’s prior position in Pennsylvania Corporation Tax Bulletin 2011-01 (February 24, 2011), in which the department concluded that no adjustment is required to a taxpayer’s Pennsylvania taxable income for full and immediate depreciation under IRC Section 168(k), the use of an administrative bulletin to articulate this new position raises Administrative Procedure Act concerns. Unlike Pennsylvania’s position, in most states, decoupling from full immediate depreciation is likely to be a timing difference, because most states allow some form of depreciation. For example, the New York Department of Taxation and Finance, in its Preliminary Report on Tax Reform, noted that New York has historically decoupled from bonus depreciation and thus will continue to do so. However, New York permits a depreciation deduction under IRC Section 167, because that section would have applied to such property if the rules for bonus depreciation did not apply. Another consequence of states decoupling from federal depreciation provisions is that an asset’s tax basis may be different for state and federal tax purposes. Some states may, unfortunately, be eager to collect additional revenues, even beyond those that could result through conformity alone, whereas others may be willing to provide additional incentives for businesses. Since a number of states already disallow deductions for interest paid to related parties, the more significant state impact of the Section 163(j) limitation is likely for interest paid to unrelated lenders. In addition, if a taxpayer pays interest to both related and unrelated parties, ordering questions may arise for purposes of determining whether interest deducted federally is subject to addback for state tax purposes. In states with rolling conformity, the 163(j) limitation will apply automatically absent legislation specifically decoupling from the provision. In those states, taxpayers need to carefully consider how they will calculate the interest limitation in both separate and combined reporting states, as the composition of a state tax return group may differ from the federal consolidated group. An early version of Georgia’s conformity bill stated that each corporation’s taxable income “shall be based upon the taxable income as if the corporation had filed a separate federal tax return,” suggesting that the interest deduction limitation would have been based on separate company amounts for Georgia purposes; this language has since been removed. Additionally, taxpayers will want to consider how states conform to the carryforward of disallowed interest expense. For example, should taxpayers carry such disallowed interest expense amounts forward on a pre- or post-apportionment basis? As discussed above, the IRC Section 163(j) limitation on interest expense should be viewed in conjunction with the immediate expensing provided by IRC Section 168(k). Unfortunately, in the realm of state and local corporate taxation, the ways in which states conform to the IRC and choose to decouple from various provisions may undermine the federal objectives of these provisions. For example, Florida’s conformity bill, SB 502, maintains Florida’s current decoupling from IRC Section 168(k) but also specifically conforms to IRC Section 163(j). Thus, if this bill is adopted in Florida, corporations would be required to add back any amounts expensed under IRC Section 168(k) and would be unable to deduct a portion of their third-party interest expense, a result that is directly contrary to the policy objective of tax reform. As the price of admission for moving the United States to a more territorial tax system, federal tax reform contains a one-time income inclusion in IRC Section 965 for the undistributed, previously untaxed post-1986 foreign earnings and profits of certain U.S.-owned businesses (“deemed repatriation income”). Federal tax reform also permits a deduction in IRC Section 965(c) for a percentage of the deemed repatriation income to achieve a lower federal effective tax rate for this income. Federally, taxpayers can elect to defer the payment of the transition tax in eight installments that are computed based on a percentage of the total transition tax liability. For those states conforming to a prior version of the IRC, this deemed repatriation income may never appear in the state tax base absent legislative change. Additionally, even among states with rolling conformity, many already exclude or allow a deduction from the state tax base for Subpart F income. For example, the Illinois Department of Revenue issued guidance in which it concludes that “the Illinois subtraction modification for foreign dividends will exclude a portion of the [deemed repatriation income] from Illinois base income.” In addition, the New York State Department of Taxation and Finance in its Preliminary Report on Tax Reform concluded that deemed repatriation income is excluded from the New York corporate income tax base as “other exempt income.” However, in excluding or deducting Subpart F income, states may refer to specific provisions of the IRC (e.g., IRC Section 951 or 952) or may generally refer to income under Subpart F of the IRC. Depending on the state’s specific language in defining or referring to Subpart F income and the state’s type of conformity, this deemed repatriation income (which is codified in Section 965 of the IRC and increases the income includable under Section 951(a) of the IRC) may or may not fall within the state’s exclusion or deduction. In states that do not permit a deduction for or otherwise exclude the deemed repatriation income from the state tax base as Subpart F income, taxpayers should consider treating the deemed repatriation income as a dividend eligible for a dividends-received deduction or, alternatively, as allocable nonbusiness income. Taxpayers should also review each applicable state’s corporate income tax conformity to the federal percentage deduction of the deemed repatriation income contained in IRC Section 965(c). If a state does not permit the IRC Section 965(c) deduction, taxpayers would be required to include the gross deemed repatriation income amount in the tax base. Additionally, in states that exclude the repatriation amount in some way, permitting the deduction could be perceived as a windfall. For example, New York has introduced legislation decoupling from the IRC Section 965(c) deduction given that the deemed repatriation income would not be included in the tax base in the first instance. Another issue may arise when cash is actually distributed by the taxpayer’s foreign business. Depending on a state’s conformity to the federal previously taxed income provisions, a cash distribution could be taxed at the state level unless a state-specific deduction applies (e.g., a dividends-received deduction). To the extent that a state includes a taxpayer’s deemed repatriation income (or subsequent cash distribution) in the state’s tax base, the taxpayer must consider the impact of such inclusion on the taxpayer’s state tax apportionment factor. As a general rule, factor representation should be required, and if an item of income is includable in the state tax base, the receipts associated with that item of income should be included in the state apportionment factor. Therefore, any income resulting from the transition tax provisions should be included in the sales factor denominator, although some states may argue that amounts should be excluded as extraordinary or unusual transactions. The amount included in the sales factor numerator will depend on the state’s specific sourcing rules (e.g., market-based sourcing or costs-of-performance sourcing). Federal tax reform generally brings the U.S. foreign tax system in line with international norms by providing a “participation exemption” for foreign dividends. Under the participation exemption in new IRC Section 245A, any eligible dividends that a U.S. corporation receives from an eligible foreign corporation qualify for a 100 percent deduction. As a result, qualifying dividends are subject only to foreign tax and effectively are exempt from U.S. tax, which is a drastic change from past treatment. As a general matter, most states permit deductions for dividends received from related corporations, either by adopting a state-specific dividends-received deduction or by conforming to the federal dividends-received deduction. Since federal tax reform provides that certain dividends a U.S. corporation receives from an eligible foreign corporation qualify for a 100 percent deduction, taxpayers should consider whether states can conform to such a provision under U.S. constitutional principles (which do not allow states to treat domestic and foreign dividends differently) if a state does not provide a similar 100 percent deduction for dividends received from domestic corporations. Federal tax reform introduces a new category of income: global intangible low-taxed income (GILTI). The GILTI provisions are contained in new IRC Section 951A, within Subpart F of the IRC. Federally, GILTI is taxed at a reduced effective rate of 10.5 percent (13.125 percent beginning in 2026). This reduced effective tax rate is achieved by a deduction under new IRC Section 250 equal to fifty percent (37.5 percent beginning in 2026) of the GILTI addition, plus any corresponding IRC Section 78 gross-up. As discussed above, some states permit a deduction or exclusion for Subpart F income. However, unlike the deemed repatriation income discussed above (which increases the amount of income includable under IRC Section 951(a)), GILTI is in an entirely new section of the IRC (Section 951A). Thus, it is unclear whether current state provisions addressing the treatment of Subpart F income will also cover GILTI. Indeed, at least one state (New York) has already opined that GILTI is not Subpart F income for purposes of certain exemptions or deductions from income. As with deemed repatriation income, if GILTI is included in the calculation of the state income tax base, consideration should be given to whether other arguments exist to exclude GILTI from the tax base (e.g., as nonbusiness income) and to how GILTI should be reflected in state apportionment factors. Consideration should also be given to the interplay of these new federal provisions with the current state income tax modifications for intercompany intangibles. Many states require taxpayers to add back to the computation of state taxable income intangible expenses paid or incurred to a related member. In light of the new GILTI provisions, if a taxpayer pays an intangible expense to a controlled foreign corporation and is required to add back that expense to its state taxable income, would the new category of Subpart F income for GILTI satisfy state subject to tax exceptions to addback and, if not, would the result be tantamount to double taxation? Moreover, as with deemed repatriation income, consideration should also be given to whether GILTI, if included, is included on a gross or net (net of the deduction provided in new IRC Section 250) basis. However, unlike the deemed repatriation deduction (which was contained in IRC Section 965(c)), the GILTI deduction is contained in Part VIII of the IRC for “special deductions.” Currently, many states do not permit special deductions. In states where the starting point is federal taxable income before special deductions, corporate taxpayers would be required to include the GILTI addition in taxable income but would not be entitled to the GILTI deduction, absent legislative change. To discourage companies from moving and holding intangible assets outside the United States (and thereby to encourage the development of intellectual property in the United States), IRC Section 250 allows a deduction for income earned from selling property or providing services outside the United States. U.S. shareholders are entitled to a deduction under IRC Section 250 equal to 37.5 percent (21.875 percent beginning in 2026) of the taxpayer’s foreign-derived intangible income (FDII). The state tax implications of the FDII deduction should be similar to the GILTI deduction (as discussed above), because both are special deductions under the IRC. Accordingly, whether the FDII deduction will be permitted in a state may depend on whether the state’s starting point for the computation of taxable income is before or after special deductions. In states where the starting point is federal taxable income after special deductions, the FDII deduction should be allowed in computing the state tax base absent legislative change (or the application of an existing state tax addition modification). However, the FDII deduction would not be allowed in states where the starting point for computing the state tax base is federal taxable income before special deductions, absent legislative change. Under a new section of the IRC, Section 59A, certain taxpayers will be required to pay a separate base erosion and anti-abuse tax, known as the BEAT, equal to the base erosion minimum tax amount (which is computed after adding back to taxable income certain deductible payments made to related foreign persons) for the taxable year. Given that the BEAT is an alternative minimum tax that is separate from the calculation of federal taxable income, states will likely not conform to the BEAT absent specific legislation. In addition, if states do elect to impose a BEAT, courts may view it as imposing a tax on foreign commerce (as opposed to on domestic commerce), and states could have a difficult time proving that such a BEAT passes constitutional muster, because states are not permitted to discriminate against foreign commerce. As may be obvious from this discussion, the response of U.S. states to tax reform is likely to be varied and far from consistent. Furthermore, in addition to considering the direct impact of federal tax reform’s key provisions on the state corporate income tax base, taxpayers must also stay apprised of unique state-specific responses to federal tax reform. Some states may, unfortunately, be eager to collect additional revenues, even beyond those that could result through conformity alone, whereas others may be willing to provide additional incentives for businesses, such as reduced tax rates. Officials from several states (including California, Connecticut, New York, and New Jersey) have not been quiet about their disenchantment with federal tax reform and what they perceive as a windfall received by corporations at the expense of individual taxpayers. This disenchantment has resulted in interesting tax proposals proffered to “cure” the perceived injustices that federal tax reform creates. For example, in California, assembly members Kevin McCarty and Phil Ting introduced the Middle Class Fiscal Relief Act (Assembly Constitutional Amendment No. 22, or ACA 22), which would impose a “surcharge” of ten percent on corporations with net income over one million dollars. As stated in ACA 22, Section 1, “the purpose [of the Bill] . . . is to share with ordinary California taxpayers the economic gains provided by federal income tax cuts for corporations with over one million dollars ($1,000,000) in net income.” A surcharge proposal was also recently introduced in New Jersey that would impose a three percent surcharge on corporations with over one million dollars in income. As discussed above, the key to evaluating the impact of federal tax reform on state corporate income taxes is by evaluating state conformity to the IRC, which may change as state legislatures start to consider the impact of federal tax reform. Where areas of uncertainty with respect to conformity emerge, state revenue authorities may interpret conformity provisions in such a way that generates the most additional tax. Given this, taxpayers should be prepared to carefully examine and support their filing positions. Maria P. Eberle, Lindsay M. LaCava, and Stephen W. Long are partners at Baker McKenzie.